Boro Park Ob/Gyn P.C. (Brooklyn) - Book Appointment Online! 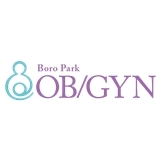 Welcome to Boro Park Ob/Gyn! We are a private group in practice for over 20 years who believe in providing the highest quality care in a comfortable and welcoming environment. Using proven state-of-the-art technology to enhance the experience of our patients, we maintain the most advanced procedures and equipment available. We offer comprehensive obstetric and gynecologic healthcare including prenatal care, high risk obstetrics, reproductive and infertility evaluation and treatment, family planning, menopausal health, urinary incontinence treatment, laparoscopic and minimally invasive surgery. Our practice is unique in providing all of your needs at our office including in-house phlebotomy, ultrasound, bone density testing and laboratory services. We pride ourselves in our accessibility and attentive service to our patients. She was great, very informative and helpful. Answered all of my questions and made sure I was reassured about my health and up to date with all of my labs. I was checked in right away and waited less than 30 minutes to see Dr. Perlman (vital signs and intake from the nurse included). Everything in this office flows smoothly between seeing the nurse, doctor, having a sonogram done, speaking to the doctor for results, and checking out. Dr. Perlman is kind, informative and nonjudgmental. I've seen a new GYN every year for the last few years as its been so hard to find one that is compassionate and thorough. Dr. Perlman is exactly what I was looking for. Gonna be sticking with her in the future! He was cool nice friendly and reassured me About a lot. Very positive experience And they took medicaid!